Hey everyone! I'm a bit late with posting this, but part 2 was actually supposed to be a video and unfortunately my iMovie has broken and wont open so I'm going to try and fix it but if not I'll have to have a rethink for part 3! 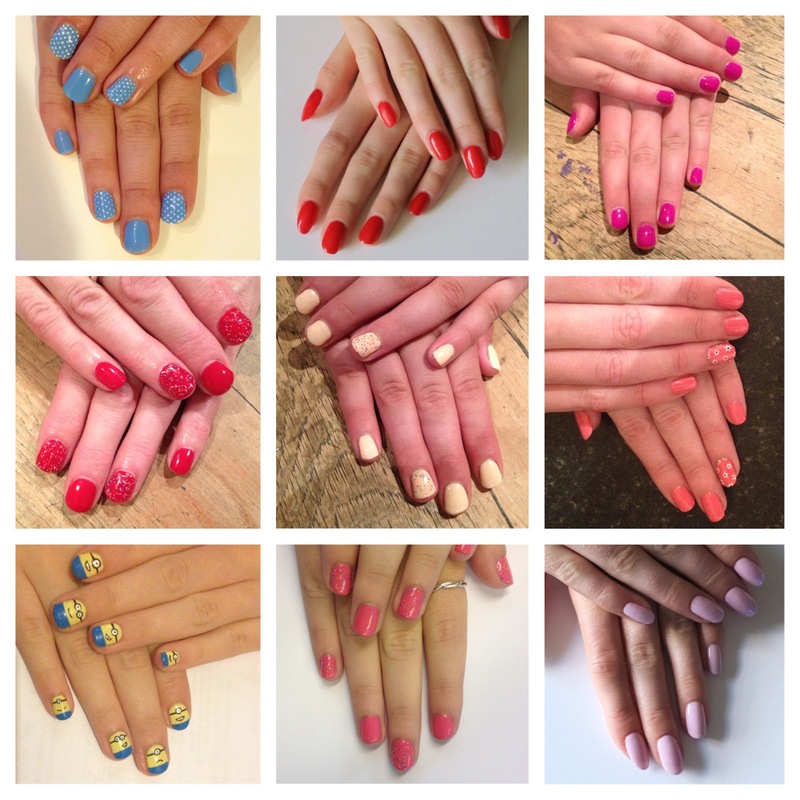 So instead, part 2 is a collection of all the nails I've done on other people (and on myself) using gel in the past 2 months. If you missed part 1, where I compared gel starter kits, you can see it here. Because these nails were all done at different times of day in different places the picture quality is definitely not consistent so I apologise in advance! Elegant Touch - Material Girl*. 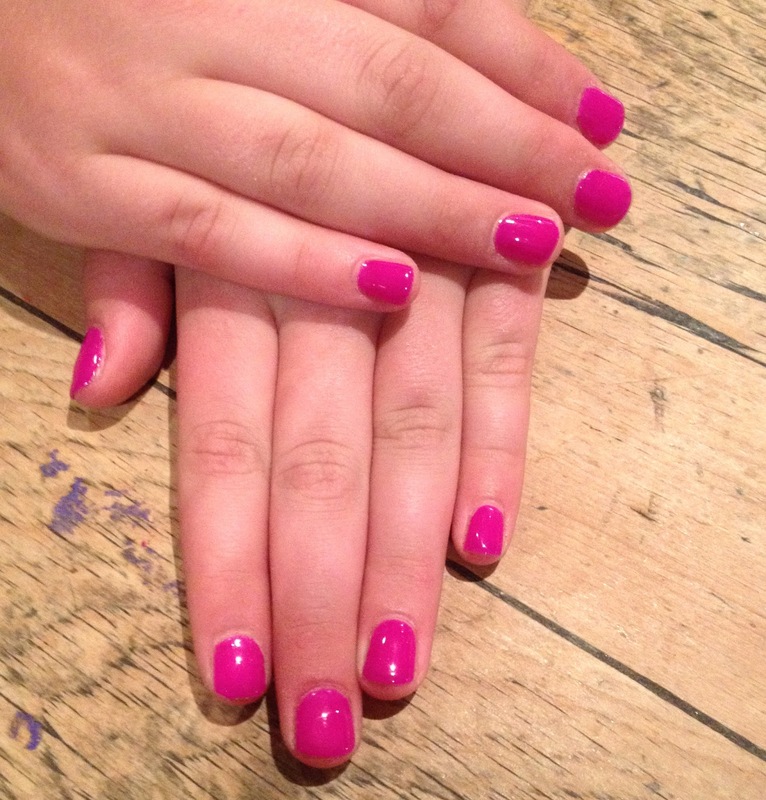 This was the first ever gel manicure I did, look at my sister's gorgeous nails! This was 2 coats. Elegant Touch - Rude Boy* with Elegant Touch - Diamonds* over the top. 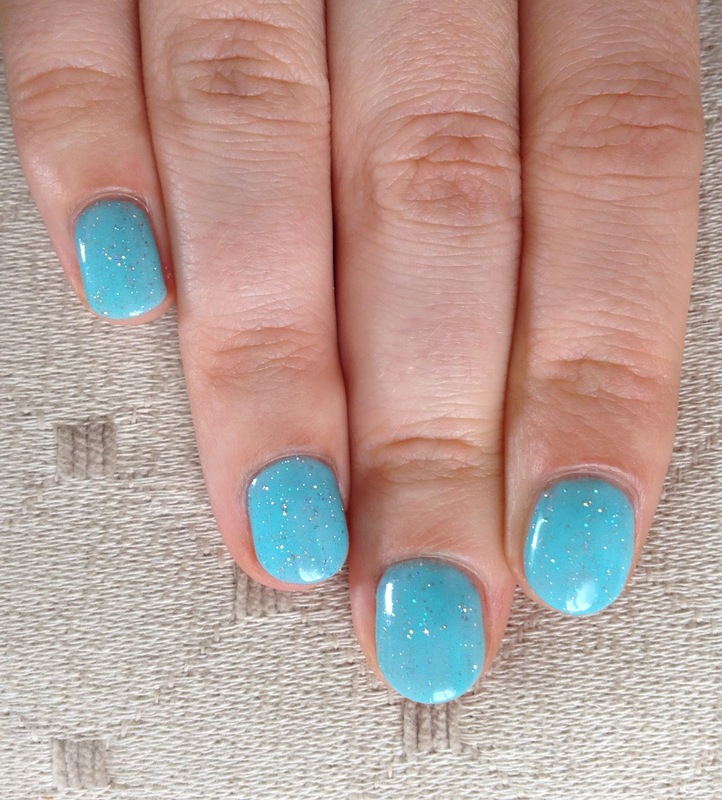 This was my second gel manicure on myself (the first being my holiday nails) but I only did them on my right hand, hence the awkward pose. This was 3 coats of blue and one of the glitter. Elegant Touch - Sweet Dreams*. 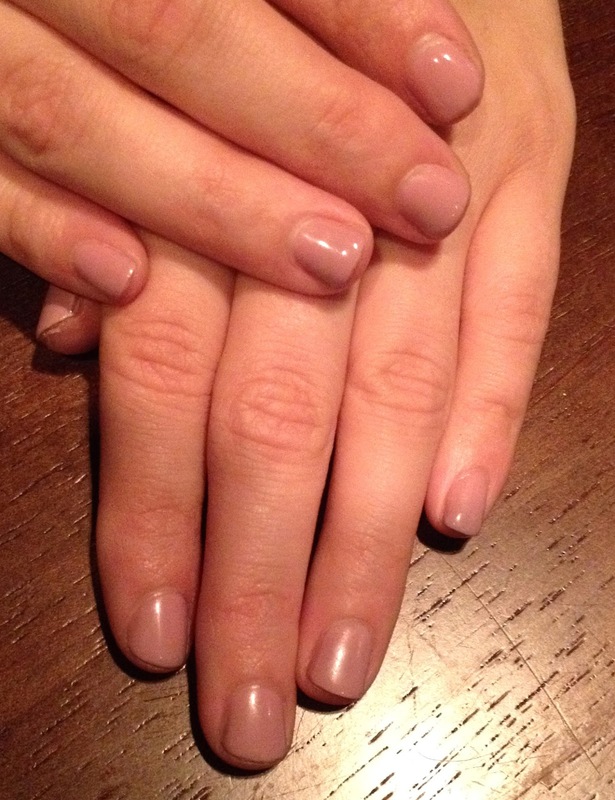 This was a very thin polish, you'll need 3-4 coats for full opacity but it is a really gorgeous colour when it's done. Elegant Touch - Rude Boy* and accent nails of Elegant Touch - Diamonds*, same as on my nails above. 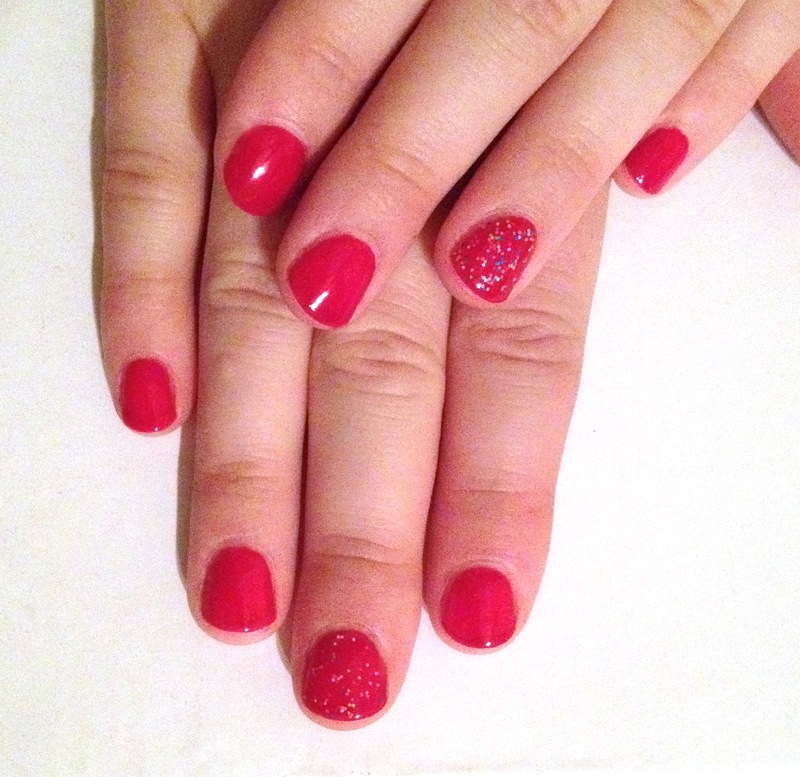 This was 3 coats with 1 coat of Diamonds. 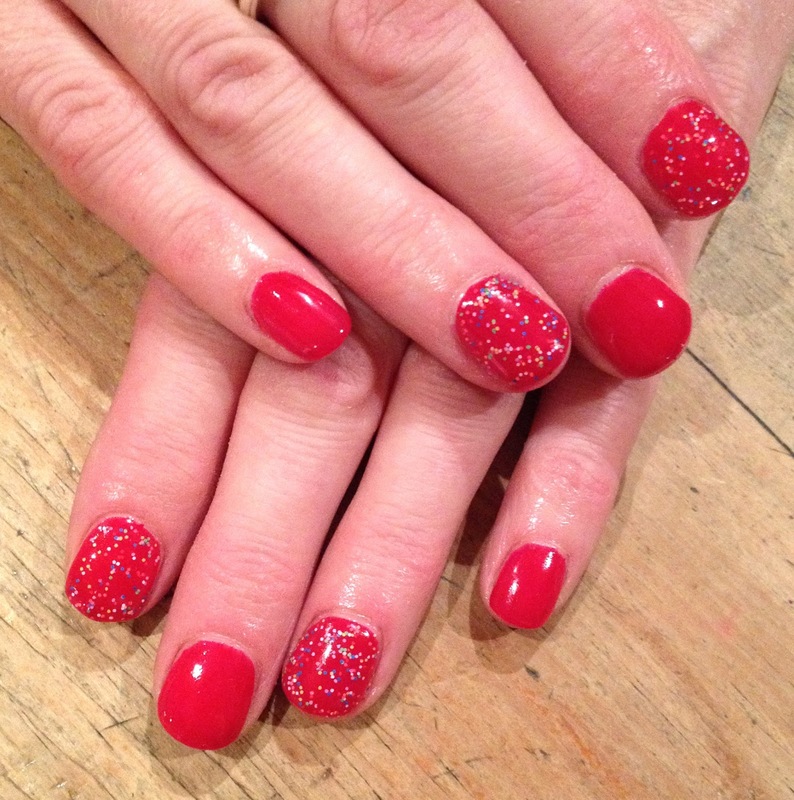 Above and below is Gelish - Hot Rod Red*, with accent nails of Gelish - Lots of Dots* on Blythe and Kate. 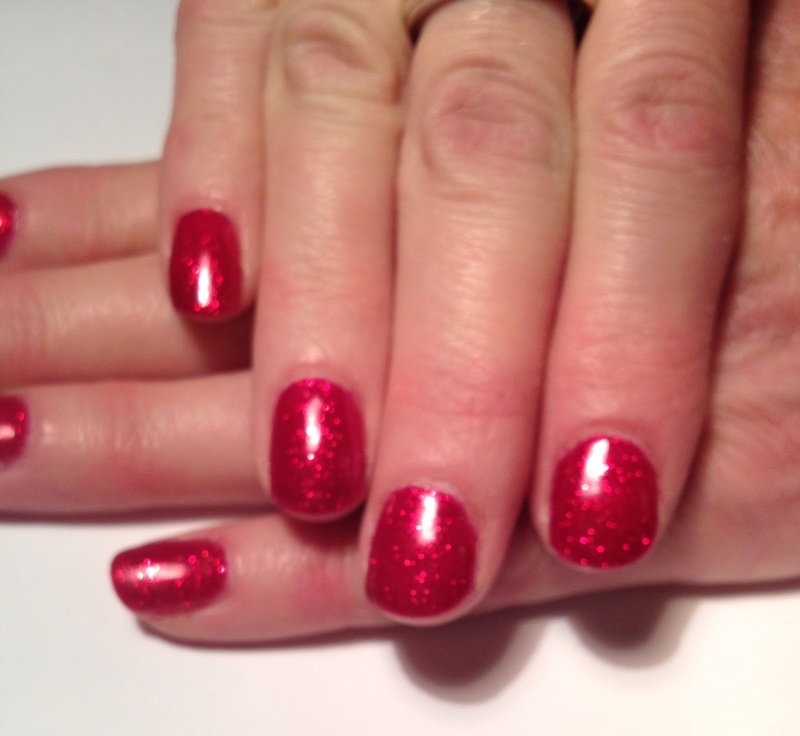 This was 2 coats of red with one coat of glitter. 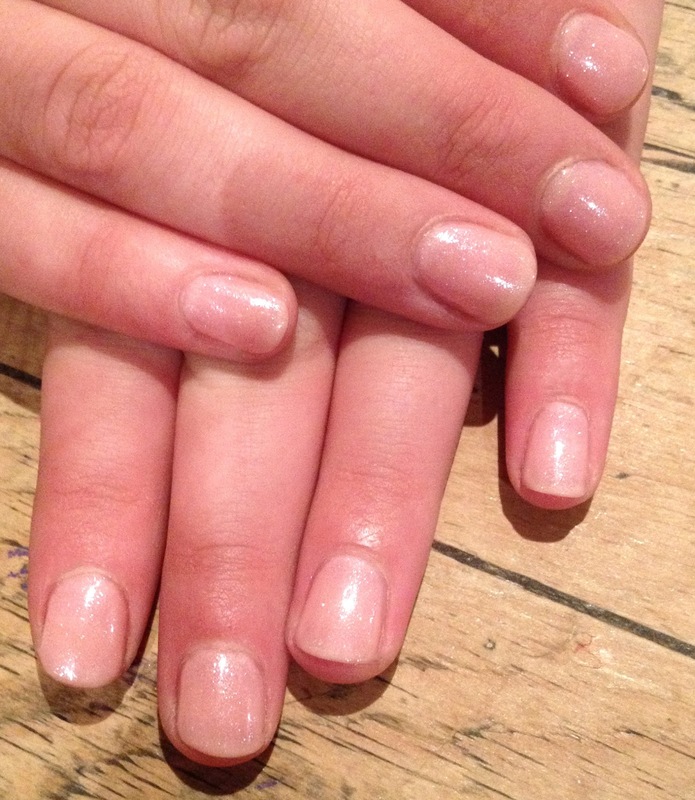 This is Gelish - Light Elegant. * This was 2 thin coats because we wanted it to look almost translucent but for full opacity you'll probably need 3-4 coats. 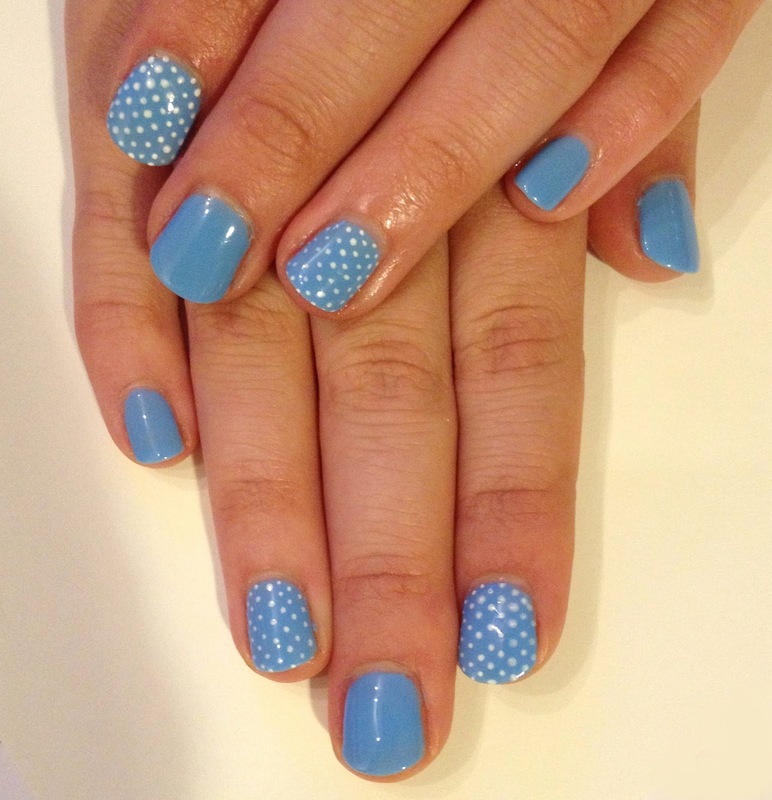 NYK1 - Cornflower Blue* with accent nails of acrylic paint polkadots. This was 2 easy coats. 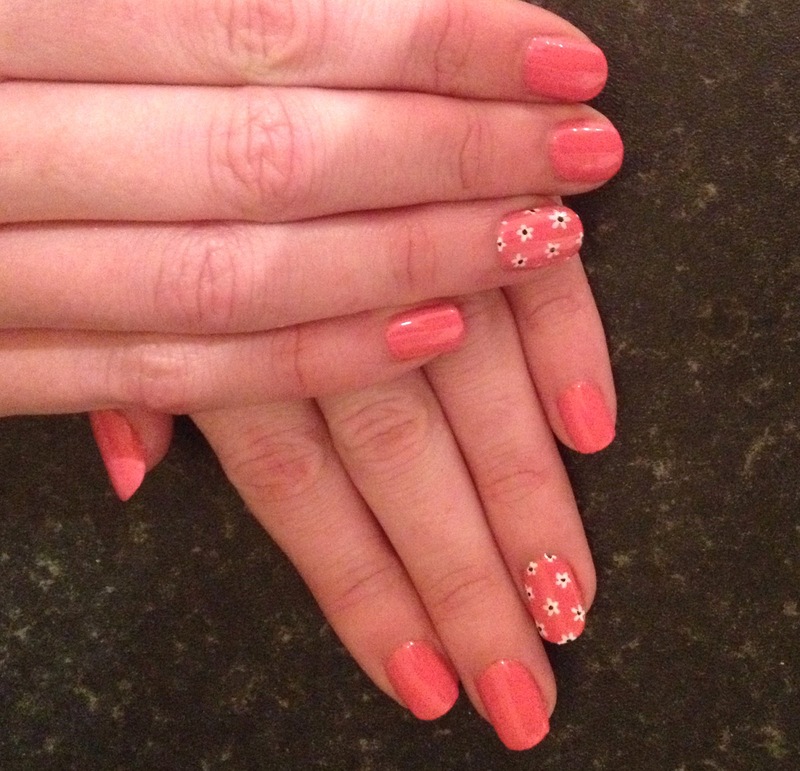 Red Carpet Manicure - Peach Chiffon* with accent nails of Gelish - Lots of Dots*. I also had Peach Chiffron on my toes for my holiday and it didn't chip at all. 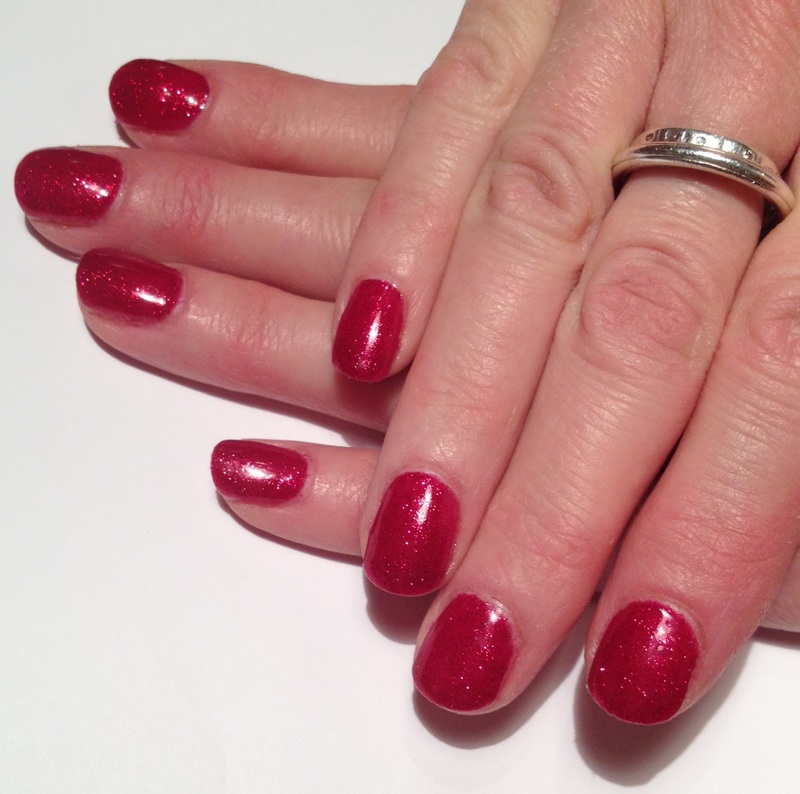 Red Carpet Manicure - Ravishing Raspberry. 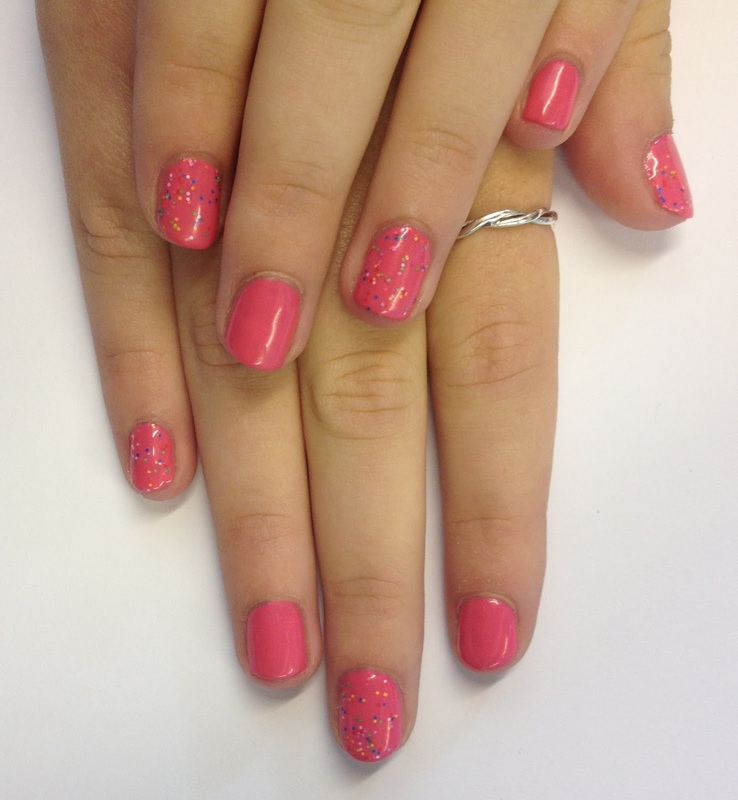 * with accent nails of Gelish - Lots of Dots* (can you tell how popular Lots of Dots has been?!). 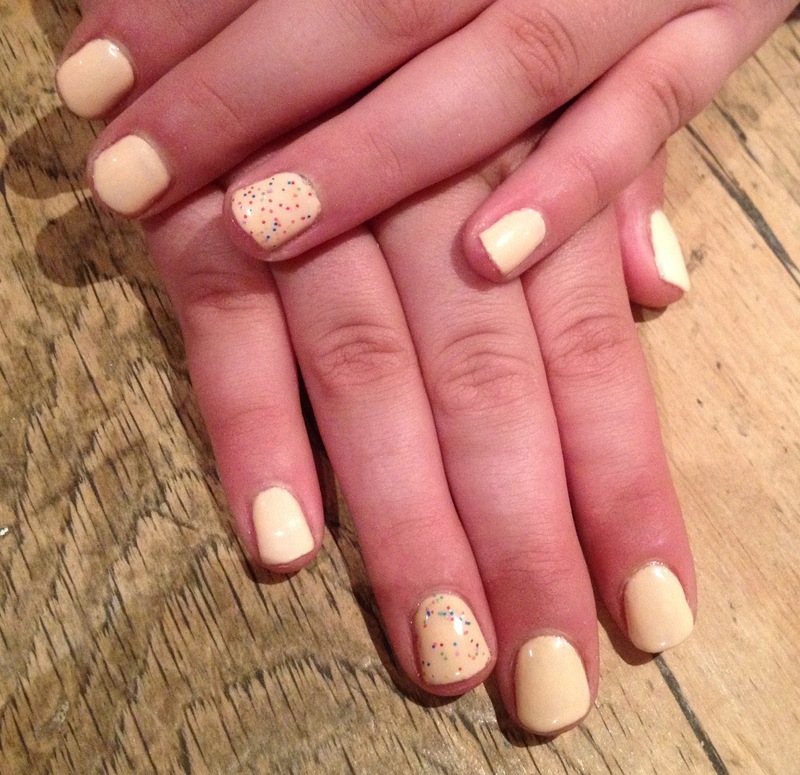 This was 2 coats + 1 coat of Lots of Dots. The lighting on this picture is really weird but it's actually the same shade as above: Red Carpet Manicure - Ravishing Raspberry* with an accent nail of acrylic paint flowers. This again was 2 coats. 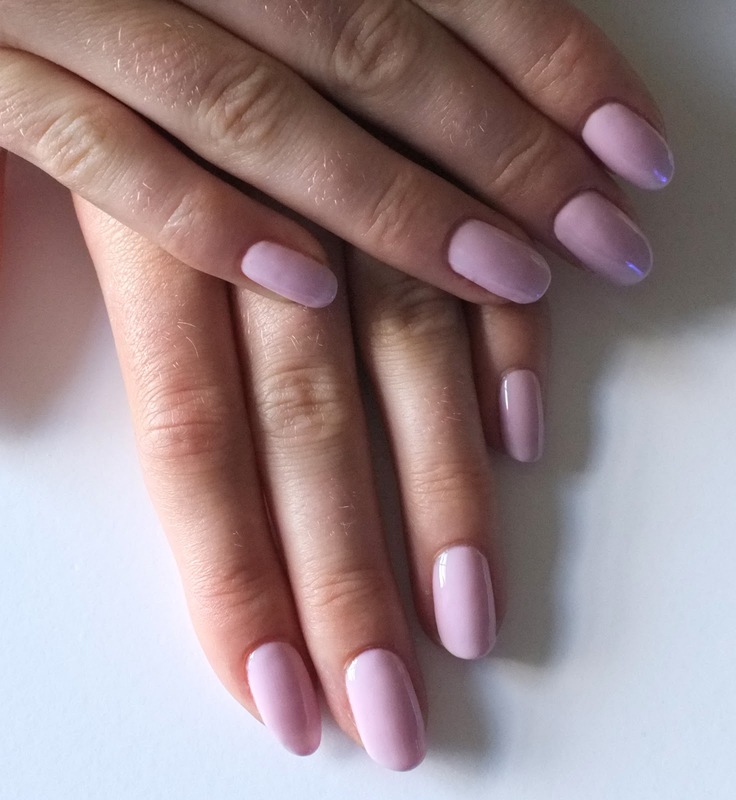 I've really enjoyed doing gel nails for the past couple of months and I can see from the photos how much I've improved in that time! If anything, I wish I'd started doing them sooner, I was always a bit afraid to start doing them because of the application process, and because of removal, but now I absolutely love it, it makes life so much easier for them to be dry in less than a minute. I've been wanting to try too, but love to do art. How was the wear with the acrylic art on top? Same? 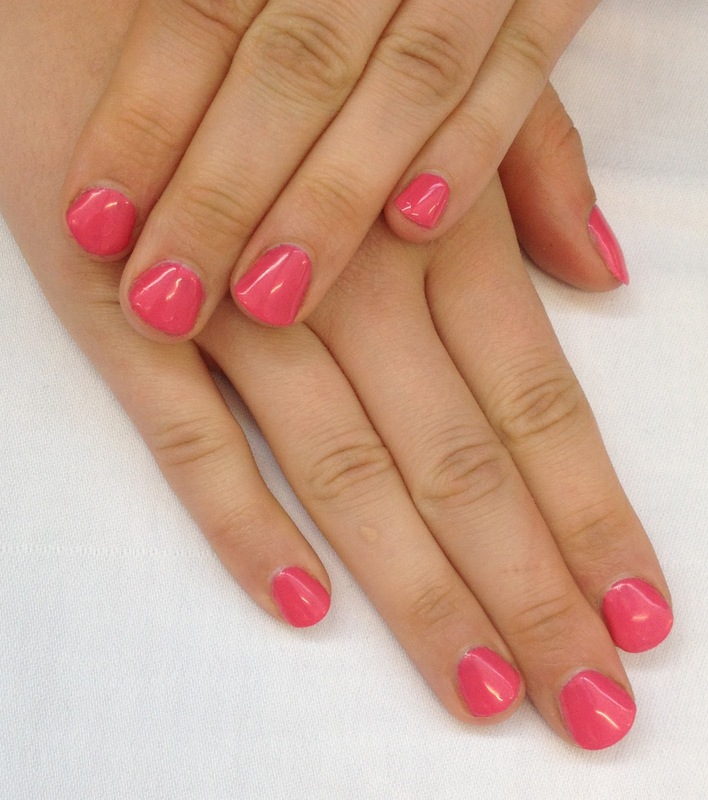 And do you use regular topcoat on art or gel. 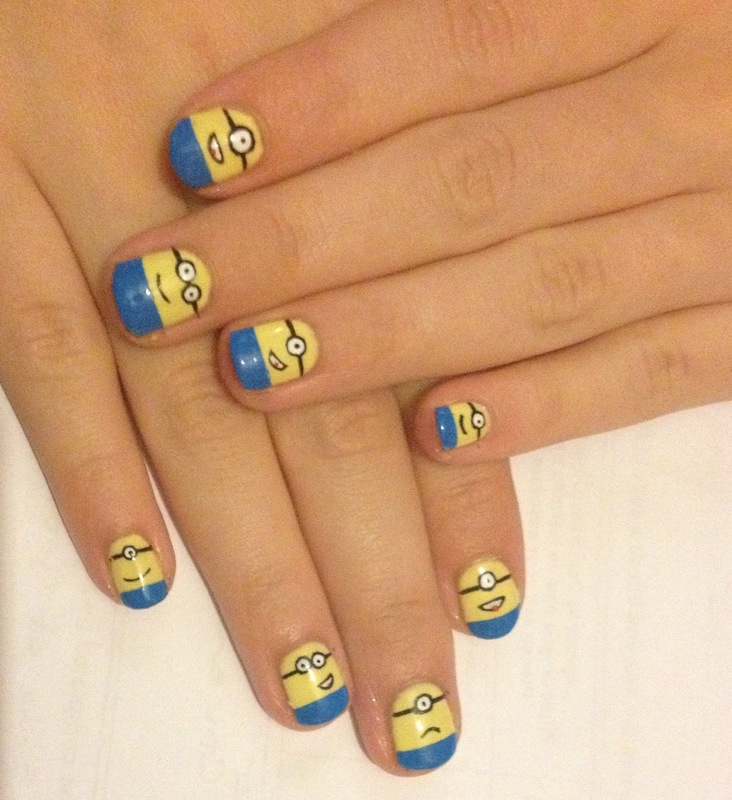 I've always wondered if acrylic would work!